The NPA offers a range of accommodation options for all travellers. Alau Beach Campgrounds & Budget Lodge @ Umagico offer absolute beachfront camping in our fully grassed and well shaded campgrounds at the base of rain forest clad escarpment overlooking the beautiful Torres Straight and its majestic islands. We offer powered & unpowered sites, we also have powered huts right on the beachfront ideal for larger groups. The ALAU Budget Lodge and Campground caters for a wide range of accommodation needs to suit most travellers. The Lodge has available one large area suitable for between 4-8 guests with self contained facilities. Also available are 8 single rooms and 4 twin rooms, all with shared cooking and bathroom facilities. The Lodge has a coin operated laundry. Rates start at $55 per night for a single room and $75 for a twin room with a discount for longer stays. The large unit, with a minimum of four persons, is $200 per night. Additional guests are $40 for the 5th person, $30 for the 6th, $20 for the seventh, and $10 for the 8th; totalling $300 per night for eight guests. The campground fees are $12 per person per night, a powered site an additional $8 per night per vehicle. Kids under 8 stay for free. Whether journeying to the northern-most tip of Australia for business or pleasure, Loyalty Beach Campground and Fishing Lodge has the facilities and services to cater for all – grassed beachfront camping, air-conditioned lodge-style accommodation, a self-contained beach house and licensed dining. Punsand Bay Camping Resort is situated 5km west of the Northern of Tip of Cape York Australia and with 10kms of beachfront where you can watch the sun rise over the Coral sea of Pacific Ocean and set over the Arafura Sea in the Indian Ocean. Punsand Bay's unique geographical position makes it one of Australia's untouched wilderness with an abundance of wildlife. Punsand Bay is a paradise to birdwatchers, fishermen, beachcombers, history buff or adventurers. Click on Punsand Bay Link above. 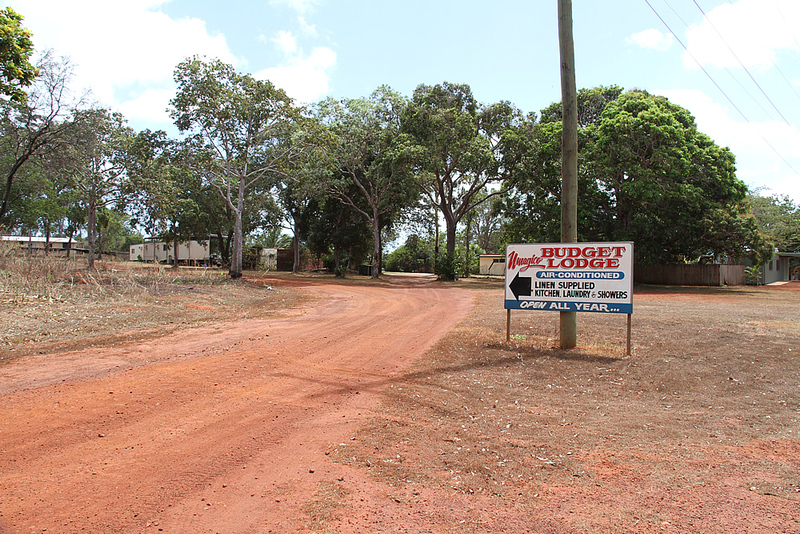 The Cape York Peninsula Lodge is situated at the top of Cape York in the heart of Bamaga. Cape York Peninsula Lodge provides the ideal getaway for families, corporate and government travellers, special interest and conference groups. Situated on the banks of beautiful Mosby Creek on several acres of land set in landscaped gardens with an abundance of feature. The restaurant has a great atmosphere, whether you choose to dine in air conditioned comfort or chill on the comfortable lounges on the big deck. The menu is highly rated by travellers and locals alike. Visit the website for more information and bookings. Seisia Holiday Park has a “3½ Star Rating” and accommodation ranges from camping to fully self contained air-conditioned villas. The Accommodation and Campground reception area has a great selection of locally produced artefacts, tourist information, maps, posters, souvenirs, T-shirts and sun protection, film, batteries and tackle. Agents for Peddells Ferry Service to Thursday Island and the Gateway Resort for Horn Island. This property is located just off the main road a couple of klms from Seisia on the outskirts of New Mapoon community. The owners also own Cape York Hire Boats known as Bullys Fishing Camp. They offer Cabin and House accommodation. Each is fully self contained, private bathrooms, laundry, fully airconditioned, TV, Wi-Fi, BBQ, outdoor private decking. The house has 3 bedrooms, 3 single beds in two and a double in the other. Lounge, separate dining, kitchen, laundry, fully size fridge and fully aircondtioned. Very private and a variety of wildlife to offer. There is also a 8 mtr below ground salt water pool surrounded by a large timber deck, pool table and area to relax.